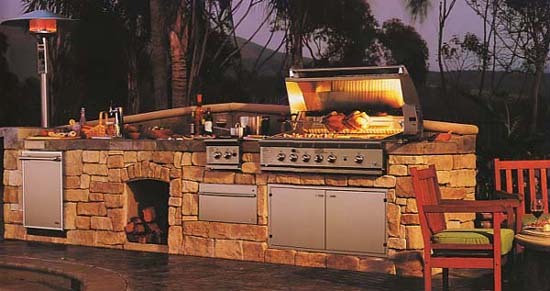 Be a chef in your own backyard with a new Custom Outdoor Kitchen! Take a look at "The Gallery" to see how we can transform your backyard or patio area into a custom designed fully fuctional kitchen. From ready-to-install freestanding units to our custom designed built-to-order professional outdoor kitchens. We feature state of the art stainless steel appliances with accenting ceramic tile, granite, and glass block designs. Designs for any Budget... We can meet your needs no matter how large or small! Give us a call at 813.571.9690 for more information about any product!